From small bathroom renovations to complete kitchen remodels to entire home overhauls, we've done it all. Development Associates has over 25 years of experience in helping clients freshen their homes with the latest trends and state-of-the-art technology. Whether the look you are seeking to achieve is modern, contemporary, country, cottage, tropical, or Mediterranean - we can do it all. Development Associates delivers unsurpassed client care when it comes to residential remodeling projects. Your home is your sanctuary, and we understand the importance of listening to the customer and building a relationship of trust during the remodel process. 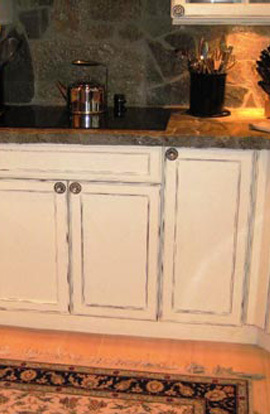 Our staff is courteous, highly knowledgeable in the remodeling process, and responsive to the client's needs and wants. Our team of skilled craftspeople, together with one of our seasoned project managers, will assure precise planning and execution - on time and on budget. Below is a photo gallery showing the kind of first-rate work you can expect from Development Associates. Copyright © 2015, Development Associates of Bonita Springs, Inc. All Rights Reserved.